Patients who sustained injuries as a result of certain Cook Beacon Tip Catheters involved in a 2015 recall may be entitled to compensation from Cook Medical, Inc. 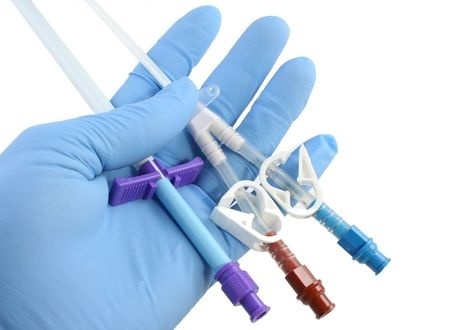 The U.S. Food & Drug Administration (FDA) has received at least 42 reports of catheter tip splitting or separation, which may result in loss of device function and serious patients injuries. The nationwide law firm of Bernstein Liebhard LLP is now offering free legal reviews to patients who may have been harmed due to the malfunction of a device included in the Cook Medical Beacon Tip Catheter recall. To learn more about available legal options, please call (888) 994-5118. Cook Beacon Tip Catheters are small plastic tubes that are inserted into the femoral artery or another blood vessel during coronary angiography. In October, the recall was expanded to include additional catheters that were distributed globally from September 2012 through September 2015. The FDA has designated the Beacon Tip Catheter recall Class I, which indicates that the devices pose a significant risk of serious injury or death. Should a Beacon Tip Catheter split or separate during a procedure, the tip may enter the patient’s blood stream. Fragments could then migrate to the heart or other areas of the body. In such cases, medical intervention will be needed to retrieve the separated catheter part. You may be able to file a Cook Beacon Tip Catheter lawsuit if you or a loved one suffered serious injuries or complications due to the malfunction of a device included in this recall. To learn more, please contact Bernstein Liebhard LLP at (888) 994-5118 to schedule a free, no obligation review of your case.